Manhattan Bridge Painting, New York City, 18×24 in. Oil on canvas by Hall Groat Sr. 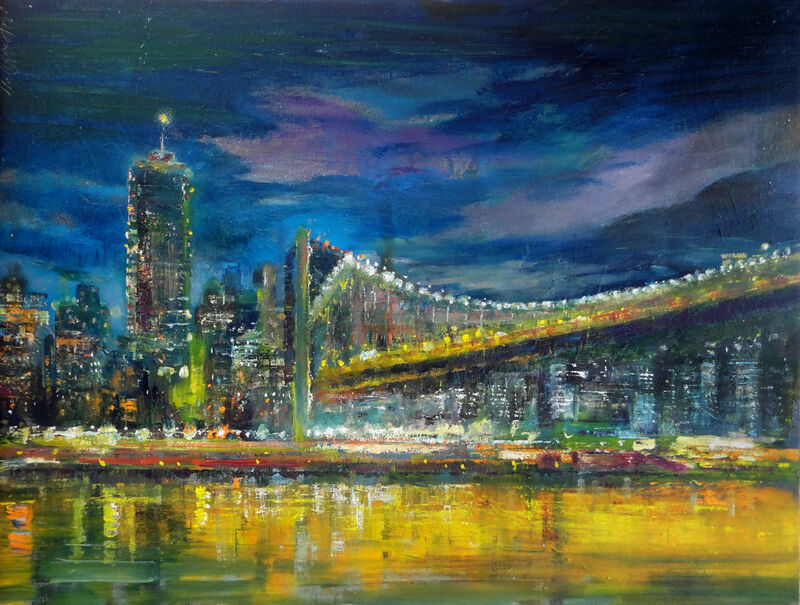 This brilliant original oil on canvas painting is an historic view of the Manhattan Bridge in New York City. It’s painted in rich blue, gray, gold, yellow, violet, gray and green tones.